Your Head Needs a Hug! 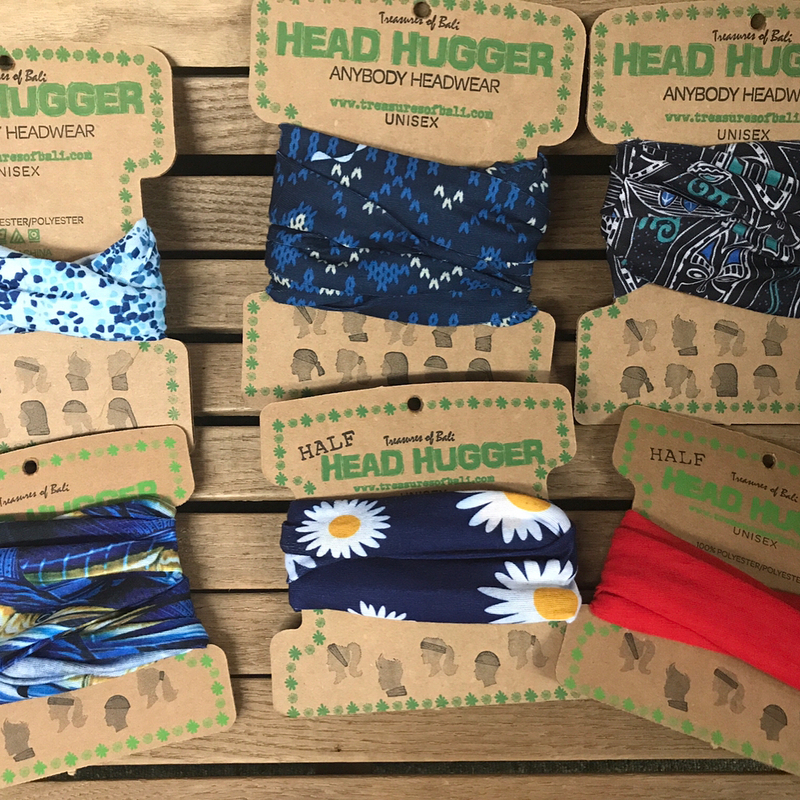 These head huggers have been *VERY* popular this season and are extremely comfortable. Stop in to check them out! 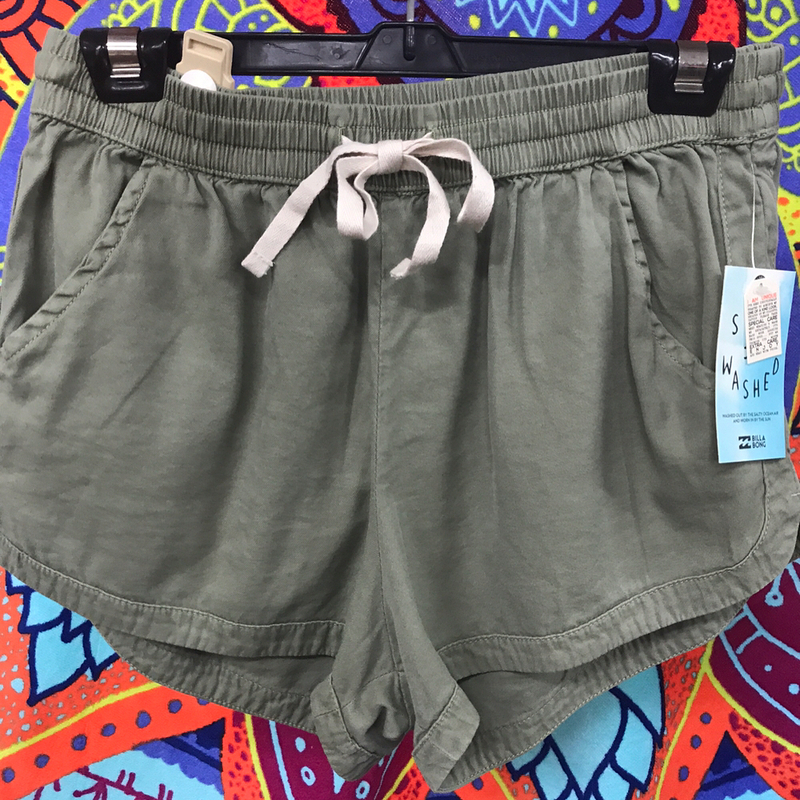 Come check out our cute and comfy girls Billabong shorts. They are perfect for summer and very popular! These handbags are absolutely adorable. 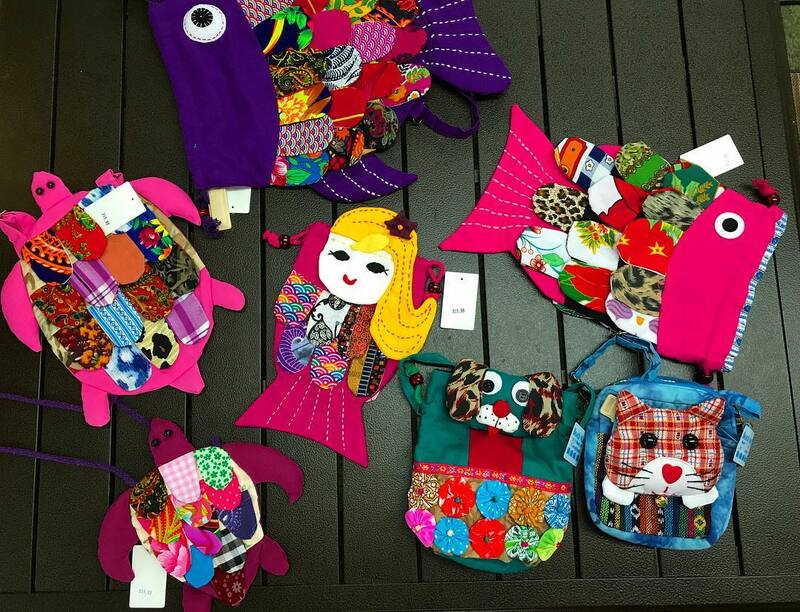 These unique bags are perfect for kids and anyone with a fun, eccentric flare. Stop in to see them for yourself. 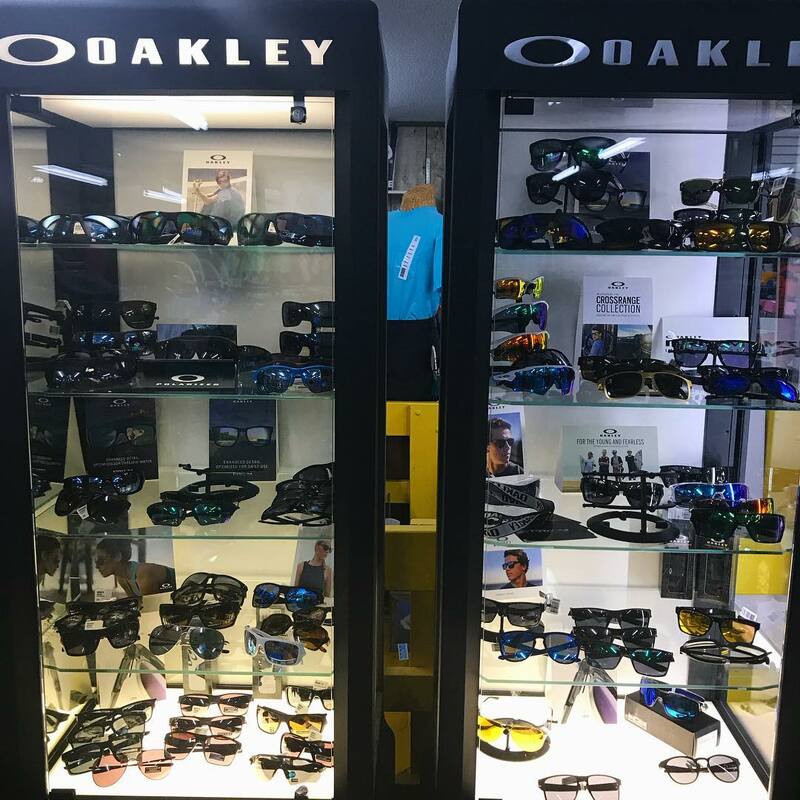 If you’re looking for the best selection of Oakley Sunglasses in the area, Beach Mart is your place! Oakley Sunglasses are some of the best make sunglasses you can buy. 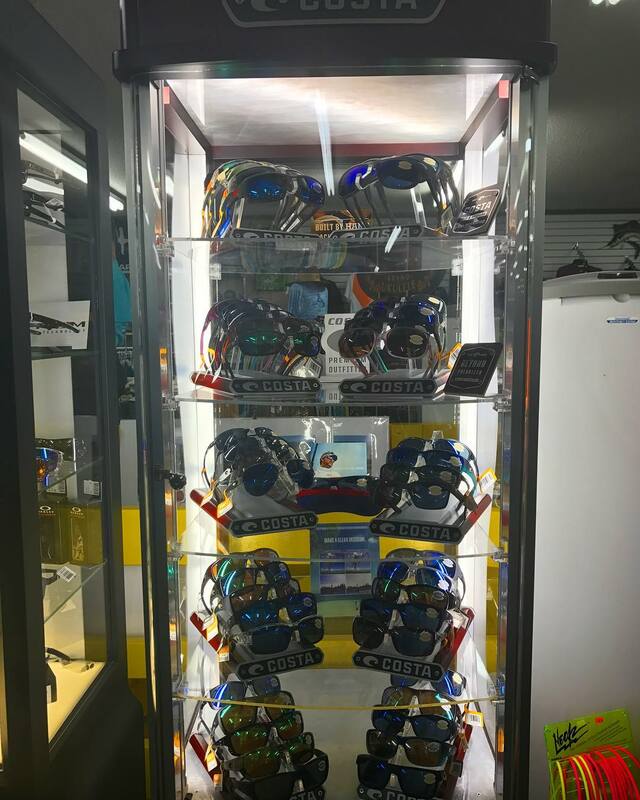 For over 25 years Beach Mart has had the best selection of Oakley Sunglasses in the area. We love them, and you will too. Beach Mart has a huge selection of unique jewelry. 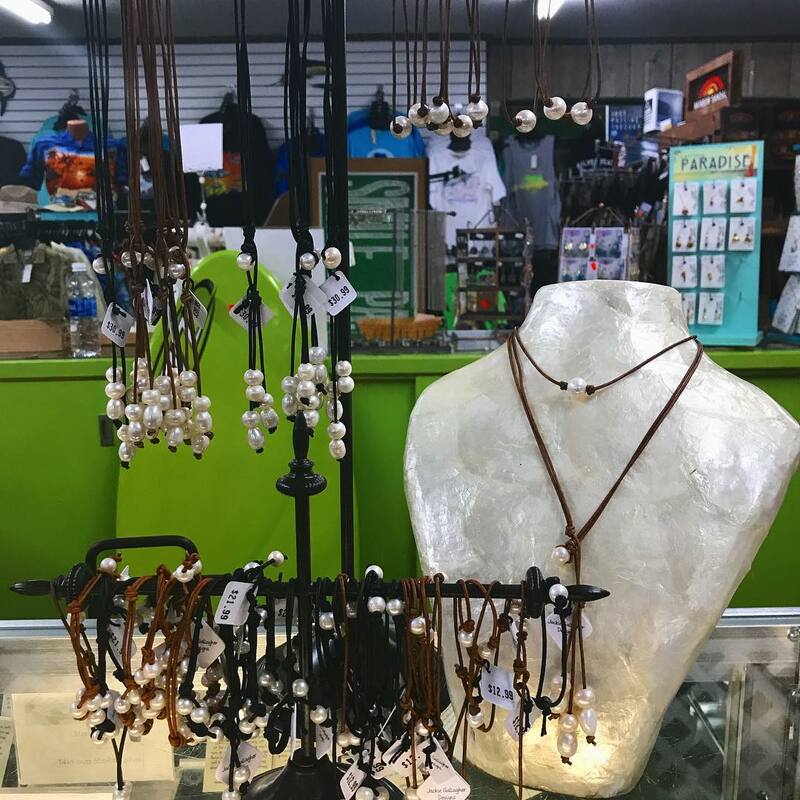 Stop in to see these beautiful bead necklaces and bracelets in person. Heybo Outdoor Now Looking Good! 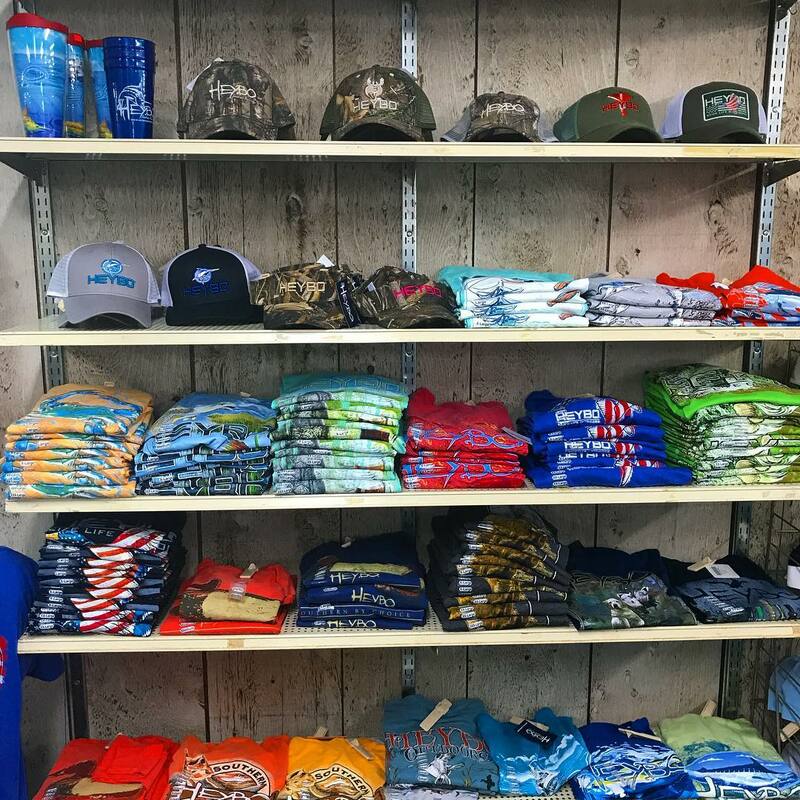 Beach Mart is now *THE* Costa Del Mar (“Costa”) Premium Outfitter in Holden Beach, NC. We have a huge selection of Costa products, including polarized sunglasses in dozens of styles to choose from. 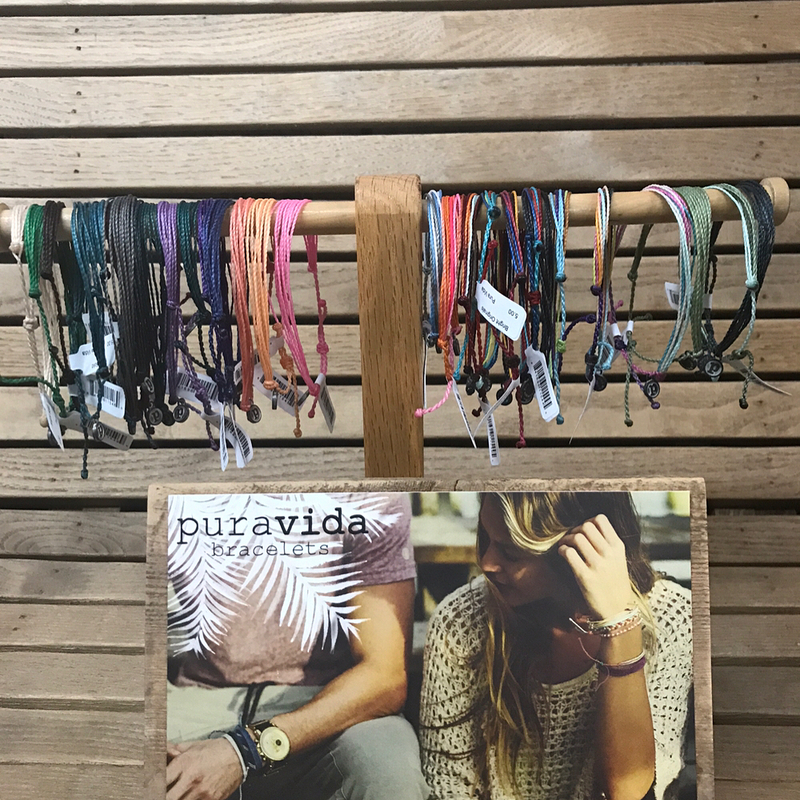 Visit us in-store to see our pura vida bracelets, rings and tapestries in person! 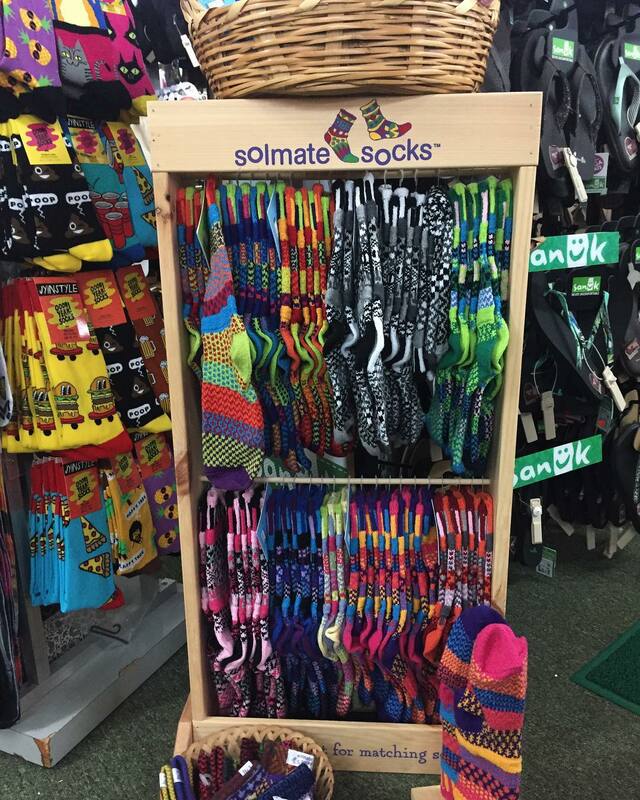 We are loving our new, fun and cozy socks we just got in. We think you’ll love them too! Stop in to check them out. 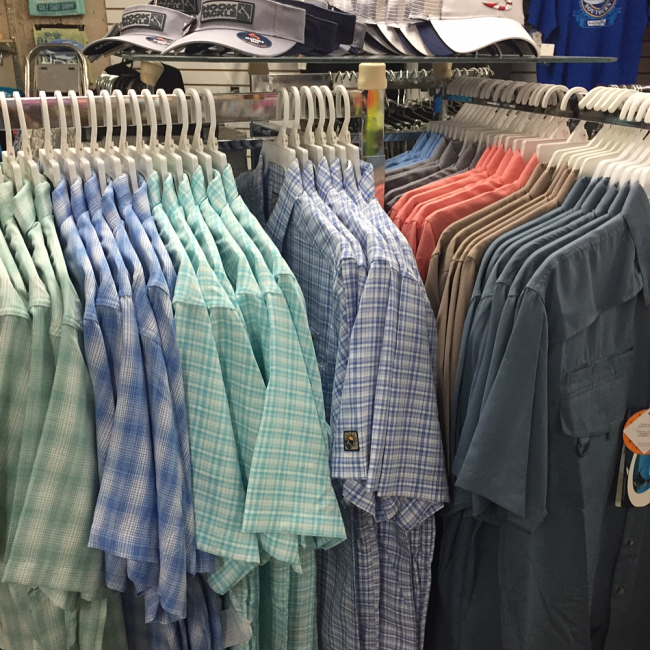 Stop into the store to try on our latest Hook and Tackle men’s t-shirts, shorts, and hats. The Beach Mart is a locally owned and operated beach shop on mainland Holden Beach, NC. For over forty years it has been the one stop shopping destination for thousands of locals and visitors seeking groceries, beach goods, beach fashion, and much more. © Beach Mart Enterprises Inc.